More than 6000 pre-scheduled meetings took place at DISTREE EMEA 2013, setting a new record for the annual channel event. More than 140 brands were represented, meeting channel executives from the region's leading distributors, retailers and e-tailers. Thousands more informal meetings also took place during the three-day event in Monaco. "We want to thank all the brands and the 1000-plus delegates that made DISTREE EMEA 2013 such a memorable experience," said Farouk Hemraj, CEO and Co-Founder at DISTREE Events. 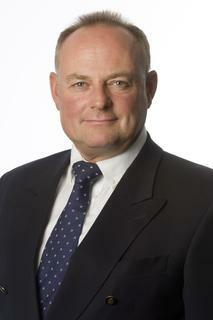 "The event continues to grow and is now a 'must attend' event for buyers working in the EMEA ICT and CE sector. This event allows channel partners to meet vendors they already work with and also identify emerging brands and hot new product categories." "DISTREE EMEA is the ultimate business platform for vendors looking to manage, build or launch routes-to-market across the entire region. By bringing together the top channel players in one place at one time, DISTREE EMEA is a highly efficient event for them to attend. The structured format delivers real business benefits for all attendees," he added. Microsoft was Platinum Sponsor of DISTREE EMEA 2013, with Energy Sistem, Intellinet-Manhattan, Modecom and Wexler as Gold Sponsors, plus Silver Sponsors ABC Data, ALSO Digital, GLOBO, HGST and Lenovo. Content Partners GfK and CONTEXT contributed to a packed conference programme planned for the event. This year's DISTREE EMEA took place at the Fairmont Hotel in Monaco with a conference programme located at the Grimaldi Forum. 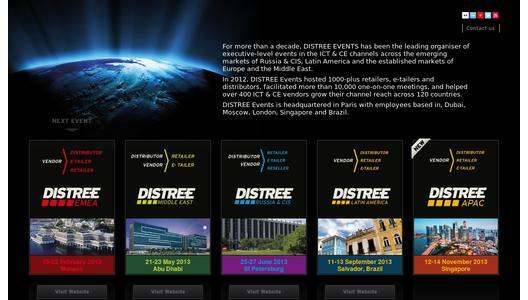 DISTREE EMEA is a business-focused and highly structured channel event, far removed from a traditional trade show. In addition to one-on-one meetings and a powerful conference programme, the event also included a series of '2013 Directions' workshop sessions, channel awards and professional networking opportunities. Additional speakers at this year's event included representatives from Moor Insights, VIA, Ocean Solutions, Sightline Group, Kiki Lab - Ebeltoft Group, plus channel consultants Frederic Lestringant and Ryan Mackey. "Each market in EMEA has its own unique characteristics and DISTREE EMEA is an opportunity for channel executives to take a wider look at how the ICT and CE industry is changing and the impact this is having on routes-to-market," added Hemraj. "We appreciate the ongoing support of speakers, distributors, retailers and e-tailers that participate in DISTREE EMEA each year. Planning is already underway for DISTREE EMEA 2014, which is scheduled to take place in Monaco from February 11-14th 2014," concluded Hemraj.